Business users can transfer assets in Finance (FI), Costing (CO) and Asset Management (AM) modules rapidly and consistently with Winshuttle Transaction. 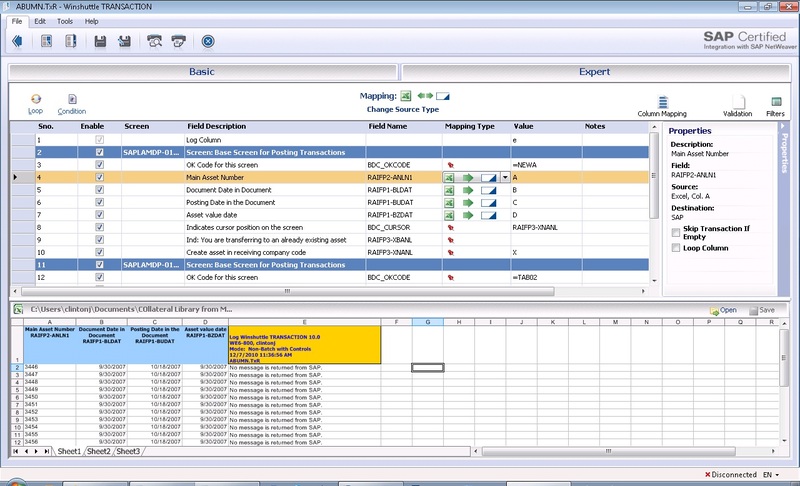 Using Transaction for ABUMN actions enables users to more efficiently update SAP with the target allocations and values—including those in non-SAP sources like Excel and Access—so that SAP correctly reflects costing and asset assignments. This approach can reduce weeks of work to hours or minutes, and helps businesses avoid expensive investments in custom ABAP interfaces. The accuracy of account assignments and other attributes associated with assets is a critical aspect of finance, costing, and asset accounting. Business users can use the ABUMN transaction code to transfer assets with little difficulty, but the volumes of data may make this a very time-consuming activity. Failure to correctly assign account information for assets can result in incorrect costing allocations and can have a more pervasive effect on financial accounting and reporting. Companies and entities that use SAP for cost management accounting can use ABUMN with Transaction to automate mass transfers of asset information. Additionally, business users can use Transaction with Excel and Access data sources to rapidly and systematically maintain configuration and master data in SAP. Can I use Transaction with other SAP transactions? 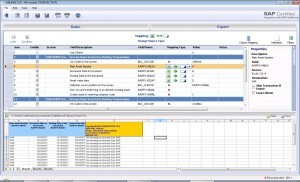 Will the system audit trail be logged in SAP? Yes. The SAP log file will be updated with the user and transaction information just as if the transaction had occurred manually using SAP data-entry screens.